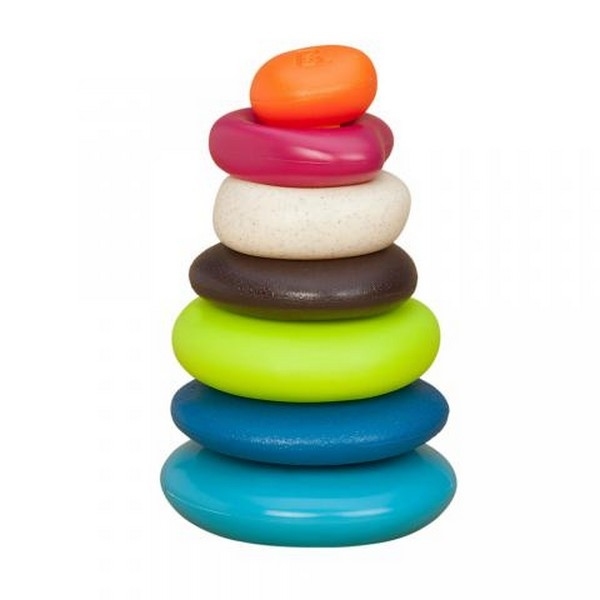 A stacking twist on a classic toy. These are stackable any way you like, ideal for building your first landmark. A variety of textures and colors to touch, build and drool on. All five rings are fun with a pebble on top!